My daughter Noelle came home from school and her right eye looked red. Do you know what I did right away? I googled “pinkeye” to read about its symptoms and treatment. I have a feeling you’ve done this too. Having the Internet is like having a doctor at your side. You have instructions to practically any problem you face online which is great…or is it? Our growing dependency on data may be eroding our dependency on the Divine. After all, the answers to our questions are on our smart phone, right in our back pocket. 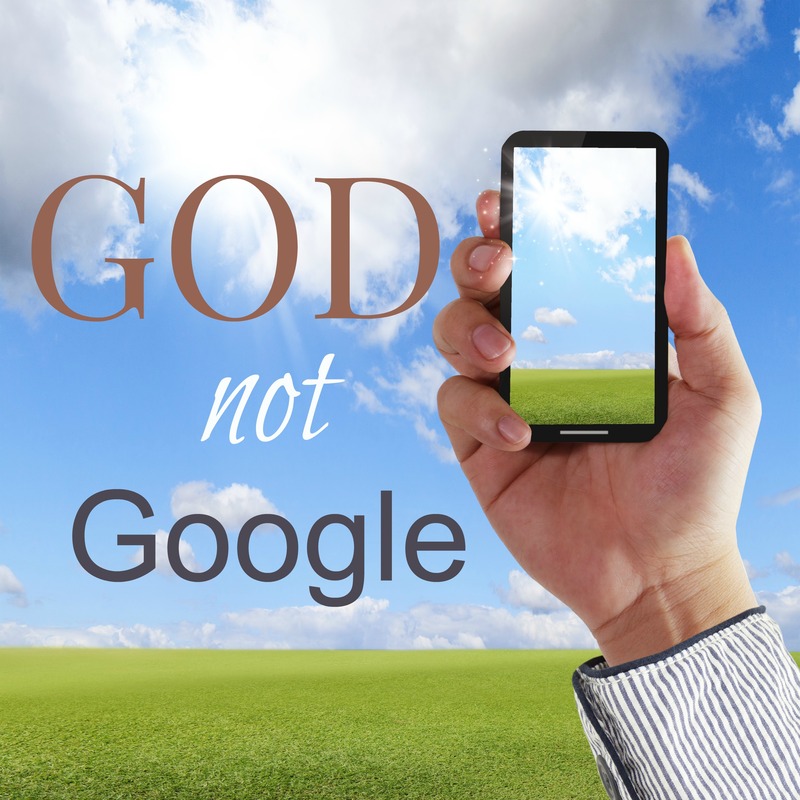 While there’s nothing wrong with seeking information online, there is something terribly wrong when we constantly turn to Google before we turn to God. Now, most likely you disagree with the belief that Google holds all the answers, but many times our actions shout the opposite. We solve problems online. We look for answers in experts. We go to God in prayer only when nothing else seems to be working in our family. In this digital age, we can get our wires crossed. The answers to your family’s problems aren’t found on homepages or search engines. The answers you need are found in the ancient pages of God’s Word and by speaking to the source of wisdom Himself. One study has found that on average, people use their mobile devices 150 times a day. Imagine if we prayed that often! What if instead of habitually reaching for our phones, we reached out to God in prayer? Think about it. Could you go a whole day without talking to God? Probably. Could you go a whole day without your cell phone or any Internet access? Ouch, that would hurt more wouldn’t it? We are ever dependent on our calorie trackers, social media posts, playlists, texts, and emails. Remember the words of the Psalmist: I lift my eyes to the mountains. You don’t have to wait until a vacation to experience the calming effect of being in nature. You can talk a five minute prayer walk around your home or simply look outside the window as you talk to the Creator of it all. There’s a richness only silence and stillness offers but we seldom have the patience to wait on God in our 140-character tweet world. Today our idols aren’t golden calves or wooden images. They’re phones and tablets and laptops and DVRs. Of course technology should be used and can be used for good in your life. But if you follow the culture’s growing dependence on technology, you won’t need God nearly as much as you need WiFi. In my new book 31 Days to Becoming a Happy Mom (coming in August), I share 5 keys to becoming a more fulfilled and satisfied mom. One of those keys is prayer. I interviewed happy moms such as Dannah Gresh, Kathi Lipp, Karen Ehman, and our very own Ruth Schwenk. Find out more about the book here.